gaming system or a high priced tech option or even worse, when you have no idea what the guy you're shopping for wants or needs. Please tell me I'm not alone. My dad is so hard to shop for that I thought I'd put together this last minute gift guide for any of you looking for ideas. I think this is a great gift for a guy who is interested in learning all sorts of random things, such as the art of speed reading people. This is also perfect for the man who has a job that this sort of skill could serve well. I actually bought it for myself and then found my dad reading over it and I realized that books like this could be a great and unexpected gift. This is a gift I gave my dad last year, filled with all sorts of dishes from all over the world this book is great for the foodie in your life. From making New York street pretzels or Vietnamese Pho. Plus I think this could be a fun weekly/monthly date night plan to cook your way through the book. This foot lotion is anti-inflammatory and stimulating on sore feet and muscle all over the body. Is a perfect "man gift" It has Lush classics and Limited Edition products too. Even the wrapping is very guy friendly, with snow boarders and snow men with hats and a guy hanging lights on the house this gift gives classic Christmas a twist. Filled with spicy and fresh non feminine scents! I think this is really great for the guy who is active. (Either above mentioned Lush gift would be a great for post workout.) I know this iPod doesn't get as much love as it's more pricey counterparts, but it's amazing for anyone who likes to create a workout play-list or who needs something lightweight while running that has a built in clip for function. I hope you like this and that it has helped on the ever tricky quest of gift giving to men. 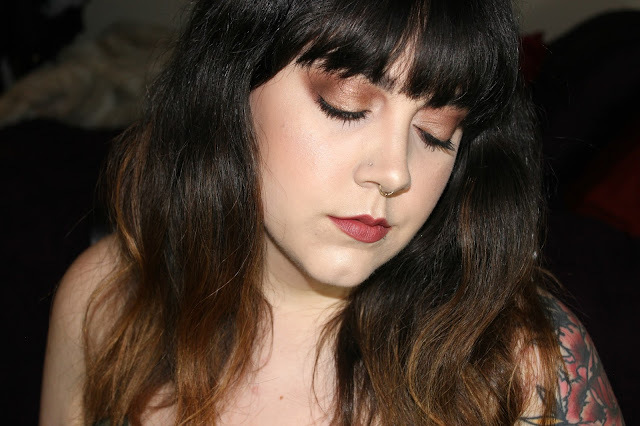 Don't forget to chec k out my Face of the Holiday posts for makeup looks for the holidays.